Three quarters of Black Hills National Forest’s 2.3 million acres are open to hunting and non-residents can hunt deer, antelope, turkey, sharp-tailed grouse, ring-neck pheasants, and waterfowl. Find a Black Hills hunting outfitter to guide you to the goods. Guided Hunting for Whitetails, Mule Deer, Merriam Turkeys, Pheasants, Buffalo and Predators. Access thousands of acres of quality hunting for trophy animals. 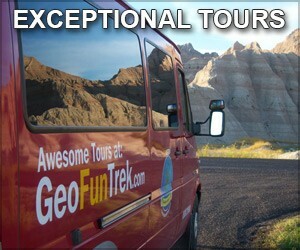 Custom trips for your group and needs. Dakota Hills Private Shooting Preserve offers you the wingshooting experience of a lifetime. We offer some of the finest Upland Game hunting. 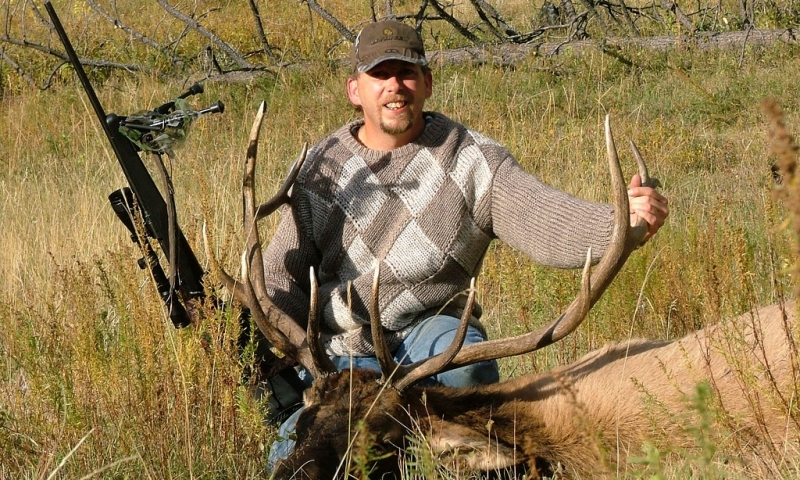 Enjoy the ultimate Black Hills experience hunting deer, turkey or elk. Jon and Jay are lifelong hunters. Experience the great outdoors! Perfect hunting camp and outfitter for Antelope, Mule & Whitetail Deer, Turkey and Prairie Dog hunts on 100,000 acres. Your Tri-State Outfitter for the Black Hills of South Dakota. We specialize in Buffalo, P-Dogs, Whitetail & Mule Deer, Antelope, Elk, and Turkey. At High Prairie Outfitters we offer a 5 Star Spring Turkey Hunting Adventure in the heart of the Blacks Hills of South Dakota. Paradise Valley Pheasant Hunts allows you to enjoy and hunt South Dakota's state bird, the ring-necked pheasant. 3 bedroom 2 bath guest house with a wide variety of guided hunts. Hunters will enjoy this rustic hunting lodge and hunting ranch 4700 feet above sea level! Three quarters of Black Hills National Forest’s 2.3 million acres is open to hunting. Non-residents can hunt deer, antelope, turkey, sharp-tailed grouse, ring-neck pheasants, waterfowl and more. South Dakota and Wyoming-based outfitters provide guided hunting adventures into the Black Hills wilderness, with prices ranging from $300 to $10,000 and beyond. The Black Hills features prime hunting habitat for big game, small game, and waterfowl. Black Hills’ deer hunting begins in November, with rifle and archery seasons for residents and non-residents. Turkey hunting is open to non-residents in spring and fall, and pronghorn antelope and pheasant hunting is popular in the prairie areas. A limited number of sharptail grouse are located in the Black Hills and open to resident and non-resident hunting. South Dakota Elk and Big Horn Sheep licenses are limited to residents only, and SD Mountain Goat hunting is currently closed to everyone. With nearly five million acres of public land available for hunting in South Dakota, including more than 80% of the 2.3 million acres within Black Hills National Forest, hunters have ample room to search for that trophy whitetail or mule deer in the mountainous regions, grouse in the woodier areas, and antelope and birds in the surrounding grasslands. Non-resident licenses can be purchased online, through the Game, Fish and Parks website, or at local merchants such as hardware and sporting goods stores. Licenses fees, regulations and hunting areas depend on the species, time of year, location and resident status. Whitetail deer comprise 75% of the total deer population in the Black Hills area. Mule deer can be located west of Custer and in the surrounding foothills. Black Hills season dates – November 1 – November 30. Application process begins in late June. Archery and firearm seasons open to residents and non-residents. Prefer wide open prairie areas. Archery Season – Open to residents and non residents; season from mid – late October. Firearm Season – Open to residents and non residents; season starts Saturday nearest October 1. 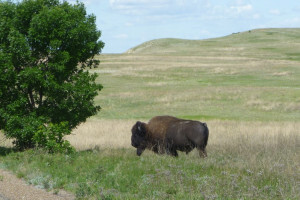 Custer State Park (71,000 acres) antelope hunting application process begins in July. Licenses available to South Dakota residents only (in SD sections). “Any Elk” Black Hills elk hunting season from October 1 – 31. “Antlerless Elk” Black Hills elk hunting season from October 16 – 31; December 1 – 15. Limited licenses for Custer State Park elk for SD residents only. Hunting open to residents and non-residents. Season – Mid-October through early-January. Season – Mid-September through early-January. *Limited numbers in the Black Hills. Non-resident hunters and those unfamiliar with the Black Hills region have numerous outfitting services and guides to choose from. Guided turkey and pheasant hunts are popular, as well as trophy deer hunting trips. 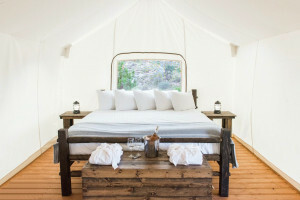 Accommodation, food, transportation and equipment costs are generally included in outfitter fees, however daily trips are also available with fewer included amenities. Trips can run anywhere from a few hundred dollars for a one-day hunt to $6000 - $10,000 or more for multi-day adventures, depending on duration and species. Guides and outfitters work long, hard days to put you in the midst of fine animals – remember to tip generously for good service. The Rocky Mountain Elk Foundation promotes the natural habitats for elk and encourages responsible hunting practices.